When Jeremie yells at Aelita, he tries to go to Lyoko to apologize. 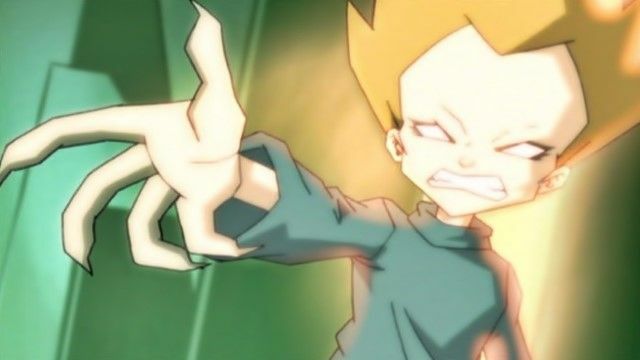 Unfortunately, while Yumi is transferring him, she makes a scanner error, which leaves him trapped in a virtual limbo between Lyoko and the real world, so Aelita has to retrieve data to recover Jeremie without support in order to bring Jeremie back, but when she gets to the Mountain Sector, there are a couple of Blocks guarding the tower. Yumi is sent to retrieve Jeremie's laptop to virtualize Ulrich, but gets caught and ends up in the principal's office. Ulrich talks to Sissi to see if she could get Yumi off the hook; Sissi agrees, but only if Ulrich will go out with her for a month. Ulrich agrees on one month and kisses her as a down payment. When Ulrich tries to tell Yumi how he really feels after some prodding by the rest of the group, he finds her talking to William, who is doing the same thing Ulrich had planned to. Yumi turns him down, but Ulrich leaves before hearing it. Meanwhile, Xana activates a tower and materializes a Krabe. At school, a driving class has been set up to teach the kids road safety. William turns out to be a good driver and Ulrich a rather poor one, which William makes fun of him for. The two then get into a fight and get detention because of it. Jeremie learns of the activated tower shortly after and the group heads to the factory without Ulrich. During this time, the Krabe makes its way to Yumi's house. When the group reaches the factory, they find a second Krabe guarding it. Yumi learns of the first Krabe from Hiroki and goes to help while Odd distracts another Krabe so they can get to the elevator. In the scanner room, they learn that the first two Krabbes destroyed the scanners that produced them, leaving just one usable. 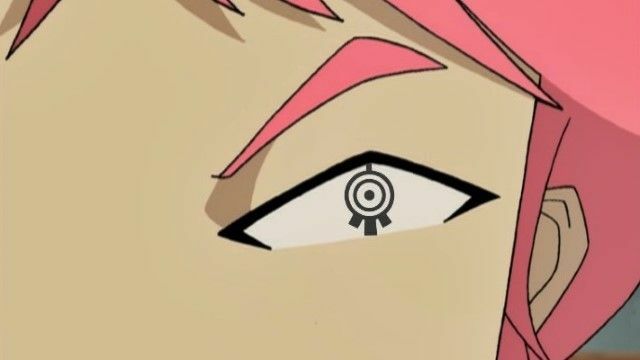 Aelita goes to Lyoko first. Before Odd can go, however, a third Krabe is materialized, preventing any further use of the scanners. Now Odd has to deal with this Krabe, Ulrich and William have to deal with the second, and Yumi and her family have to deal with the first. Not only that, but Aelita has to make her way to the tower without any support, and makes a decoy for the Scyphozoa. With the Skid gone and XANA's Replikas at unmanageable numbers, Jeremie continues work on his multi-agent system. Meanwhile, Aelita has nightmares about her father being killed by XANA. 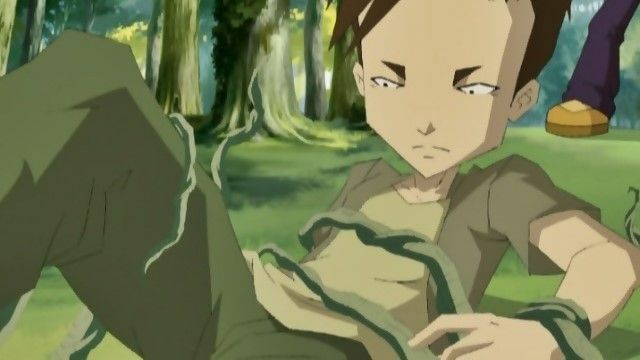 As Jeremie works, he is contacted by Franz Hopper, who arranges a meeting on Lyoko. William wants to help, but all except Aelita are a little wary of trusting him again. William is left in the lab with Jeremie. After meeting up, Franz transmits the data necessary to finish Jeremie's multi-agent system. However, XANA is not willing to give up without a fight, activating a tower to possess William once again while sending the Kolossus to deal with Franz. Yumi willingly devirtualizes herself and fights William while the others protect Franz. Once Franz is finished transmitting the data, Aelita and Odd head to Sector Five to finish the program. Ulrich, meanwhile, manages to defeat the Kolossus, but its corpse falls on Ulrich, devirtualizing him instantly. However, a problem arises: the energy requirements are too great. 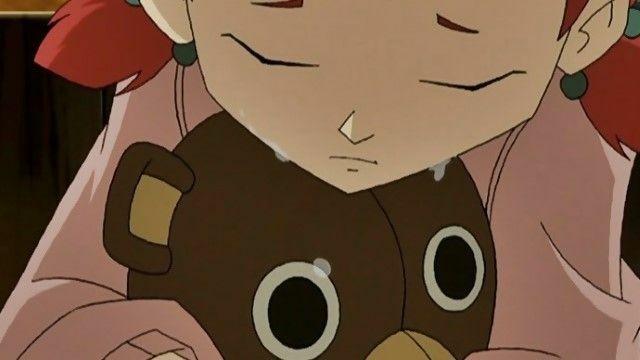 Aelita's nightmare is realized when Franz makes the ultimate sacrifice himself to power the program, and in doing so XANA is wiped out completely. Though a great victory for them, the loss of Franz Hopper leaves them with little reason to celebrate. After discovering The Carthage Region, the group decides to explore it. Yumi is forced to opt out after her continued late-night trips to Lyoko draw the attention of her parents. 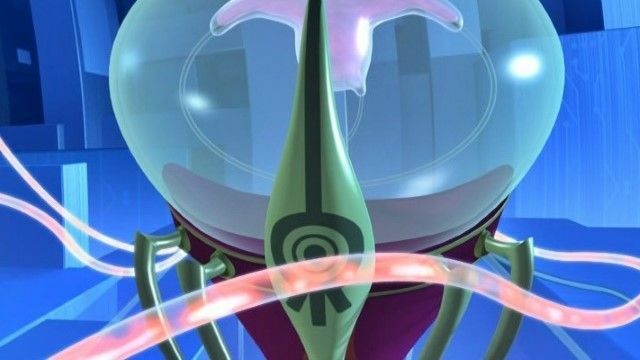 While on The Carthage Region, Ulrich and Odd get dematerialized but don't appear in the real world, so Yumi sneaks out of the house to go to Lyoko and rescue Aelita from the Scyphozoa while Jeremie searches for a way to recover Odd and Ulrich. Unfortunately, Yumi's parents discover that she is missing and alert the school, who in turn discover that the other four are missing as well. Milly and Tamiya are doing a report on the school prom. They try to interview Sissi, who was prom queen last year, but she turns them down and makes fun of their age. Milly tries to ask Ulrich out, and he turns her down because he's going to the dance with Yumi. Upset, Milly storms off. In her room, she tells Tamiya that she hates everyone, with X.A.N.A. listening from her computer. When Milly tells her teddy bear that she wishes she were bigger and leaves it in the garden shed, X.A.N.A. possesses it and uses it to attack those who had made fun of her. It then increases the teddy bear's size to roughly two stories and sets it on the town. 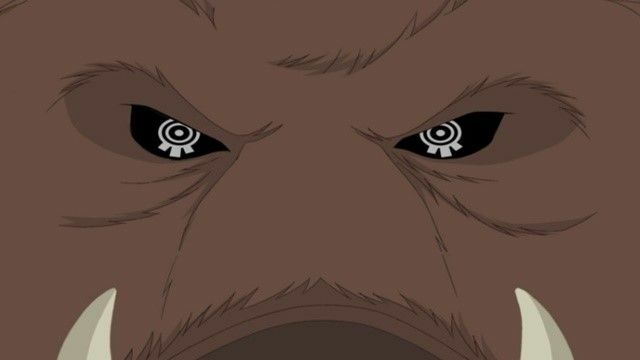 Since Ulrich had to protect the school and warn Yumi, it's up to Odd go to Lyoko and help Aelita deactivate the tower and protect the rest of the town from the rampaging teddy bear. After a return to the past, Milly asks Ulrich to the dance again, and Ulrich says yes, embarrassing Sissi. After taking another trip to The Carthage Region and returning to the school, Aelita talks to Jeremie about not being human, unaware that Sissi is recording their conversation. On top of that, the data they had retrieved from the Carthage Region takes over the supercomputer and starts running return trips over and over. Jeremie discovers that returning to the past makes X.A.N.A. much stronger and more powerful. During the third return trip, Xana possesses Sissi with his newly strengthened and increased abilities and powers and goes after Ulrich. Not only does the group have to deal with Sissi, but they also have to stop the return trips from continuing. 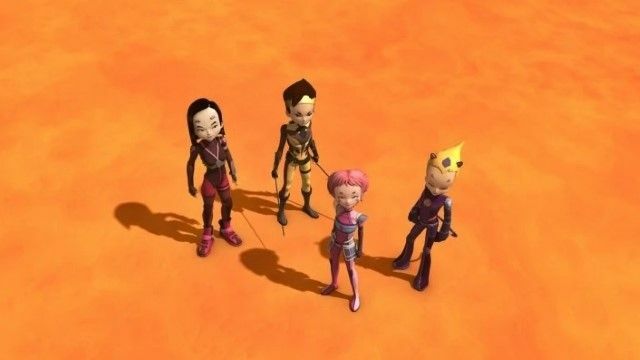 With their mission completed, the group looks back on all their fond memories of Lyoko. Sissi, meanwhile, plants a tracking device on Ulrich in order to discover their secret. When it comes time to shut down the supercomputer, all but Yumi are unwilling to go through with it: Aelita is still holding onto the hope that her father can somehow be saved, Jeremie doesn't want to take away the thing which made them friends, and Odd and Ulrich both liked being heroes. 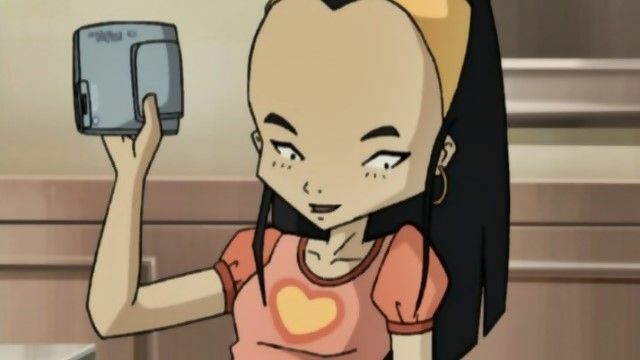 While they muse over their attachments to Lyoko, Sissi finds her way into the computer lab, and Jeremie's open diary reveals the whole of their adventures. When Sissi tries to explain this to her father, he believes she has lost it and sends her to the infirmary. A return to the past deals with that problem. Ulrich stops Sissi from planting the tracker on the repeat attempt, and the quintet invites her as a friend. Once more at the supercomputer, the group unanimously decides to shut it down, closing the book on their adventures, for now. Taking a different approach to his research, Jeremie materializes a single hair of Aelita's. Unfortunately, the follow-up test goes awry, and Jeremie has to find out why. Meanwhile, different parts of the school begin to crumble apart. 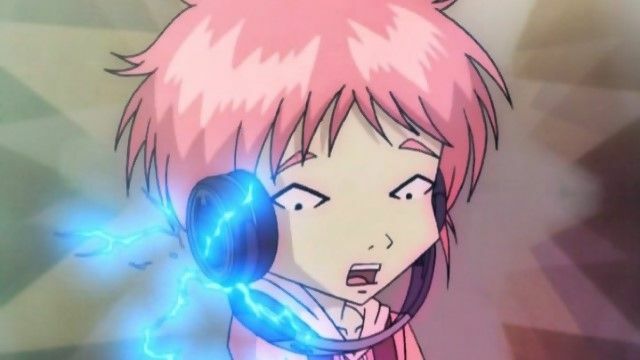 Jeremie learns that his first test damaged Aelita's program, and she'll be deleted if she tries to deactivate a tower. On top of that, they learn that X.A.N.A. 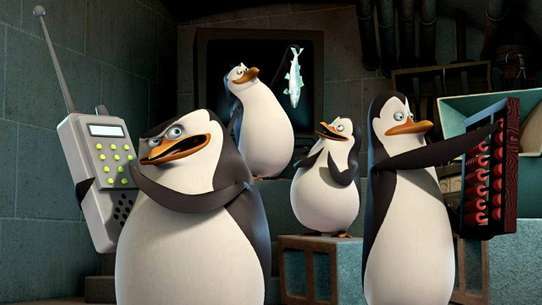 is responsible for the damage being caused to the school by using ultrasonic sound waves, which continues to get worse. 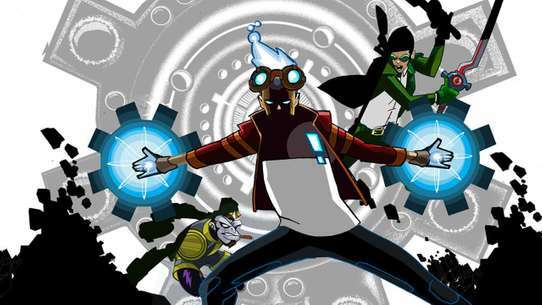 Jeremie has to fix the damage he caused in time to save Odd, who ends up trapped inside the school with Milly, Tamiya, and Kiwi. Unfortunately, after two tries, both ending in failure, Aelita, with the help of Yumi and Ulrich, has to deactivate the tower or else Odd, Milly, Tamiya, and Kiwi will be done for. 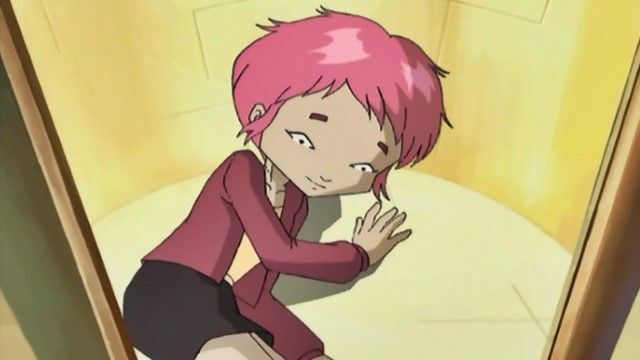 After the return back in time, Yumi remembers that Jeremie said that the hair contained Aelita's entire computer code. 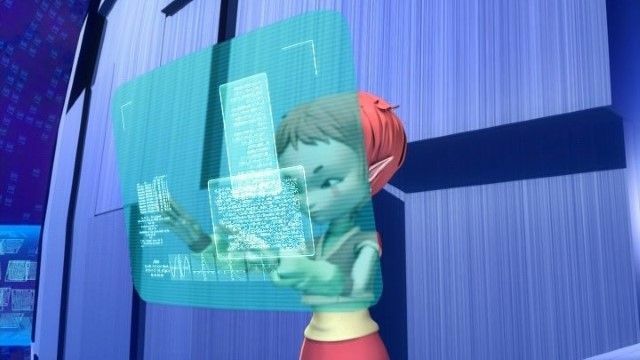 Jeremie places the hair in the scanner, virtualizes it to Lyoko, and Aelita is inside the tower she deactivated. The group turns to Jim for training so they can be better prepared to fight XANA. However, things go bad when XANA possesses a boar to attack them with, forcing them to put their training to good use to avoid it. 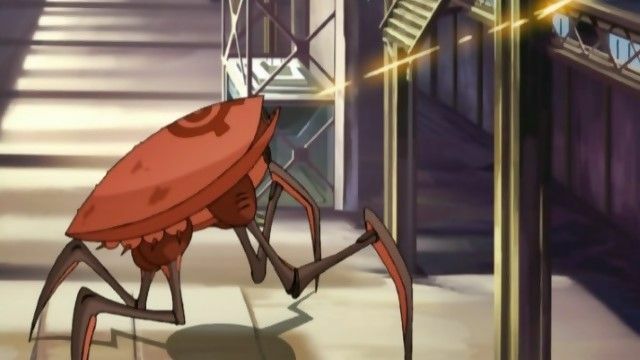 Furthermore, XANA sends William and a group of Mantas to attack Lyoko's core. Jeremie stays behind to help Jim while the others repel the attack. 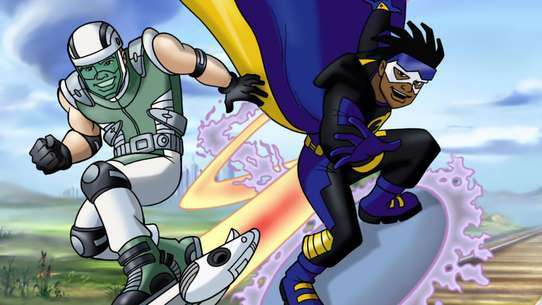 Jeremie risks his life to save Jim when the two encounter their attacker in a cave, and Aelita deactivates the tower in time to save them both. It's Saint Valentine's Day and love is in the air. Ulrich forgets, so at last minute writes a poem for Yumi. However, when William presents Yumi with flowers, Ulrich gets jealous and reads the poem to Sissi instead, hoping to elicit jealousy from Yumi. The two end up in a fight, both bothered and wondering if the other really likes them. 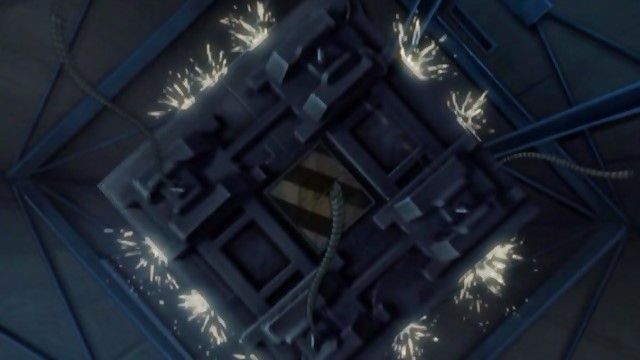 Also, a man possessed by Xana leaves a necklace at Aelita's door, Aelita is convinced that it was Jeremie who got it for her. Since Jeremie didn't actually get it, he's left to wonder who did, and ends up suspecting Odd, who avoids the question. This puts the two at odds, so to speak. Meanwhile, Aelita's necklace takes control of her and forces her to deliver herself to the Scyphozoa. Luckily, Odd arrives in time, and is able to save Aelita from the Scyphozoa by "threatening" to kill her. The group travels to one of XANA's Lyoko replicas in the digital sea. Meanwhile, Aelita and Odd get into a fight after Odd's desire to sleep in gets them both in trouble. 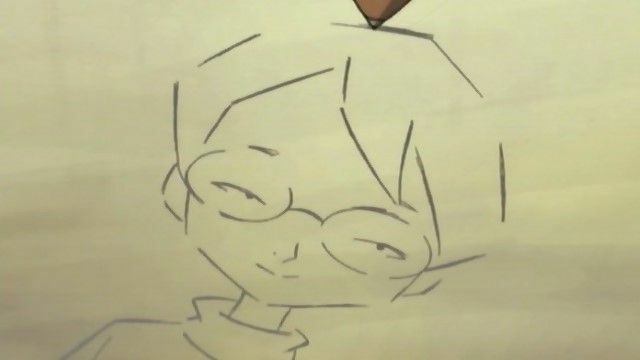 Furthermore, their arguing inadvertently leads Nicolas and Herve into the factory, where Jeremie is forced to distract them while the group explores the Lyoko copy, which consists entirely of the Forest Region. 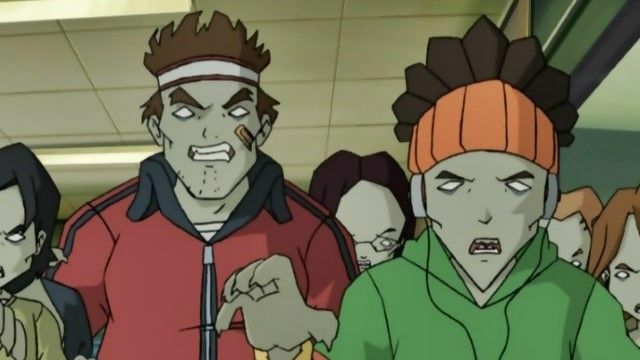 On the Lyoko replika, William and a pair of Megatanks arrive to destroy the Skid, the destruction of which would cut the group off from the supercomputer. Odd and Aelita refuse to work together when they first arrive, but eventually resolve their differences and take William down. Jeremie surmises that another supercomputer is controlling the replika, and in order to get rid of it he'll have to find a way to materialize his friends at the location of the supercomputer. When Aelita's dreams and hallucinations become too disruptive to ignore, the group heads to the Hermitage to discover their source. There, Aelita finds a doll she inexplicably recognizes to be Mister Pück. Hidden on this doll is a key to a train station locker, which contains the heavily encrypted diary of Franz Hopper. Upon its discovery, Xana takes action, possessing Jeremie, to ensure they'll never be able to read it. When they deactivate the tower and Jeremie comes to his senses, Yumi explains to Jeremie why Xana can possess him and not Ulrich, Aelita, Odd, or Yumi. Odd and Ulrich are talking in the shower room when a young boy, Johnny, asks to talk to Ulrich. It turns out that Johnny likes Yumi, and being jealous of that, Ulrich tells him to follow her around to get her attention, which Yumi hates. After following her all day and ending up in the gym, a flock of crows possessed by Xana attacks Yumi. She is beaten unconscious by their electrified beaks and sent to the hospital. 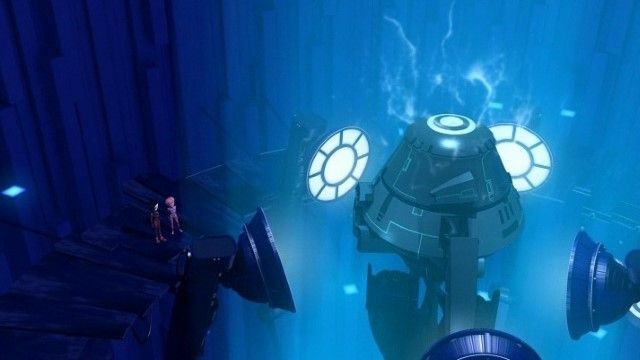 Meanwhile, as Jeremie and the others are fighting monsters to deactivate the tower, the Scyphozoa possesses Aelita and has her enter Code:XANA into the way tower, wiping out The Desert Sector for good and leaving Lyoko with two main Sectors - The Mountain Sector and The Ice Sector. Once Jeremie finds out, he activates a return to the past with strong hope for Yumi's life. This episode proves that Ulrich is not as comfortable as being just friends with Yumi as he says he is. After failing with an army of rats, X.A.N.A. attempts a similar tactic using hornets. Meanwhile, Ulrich gets a letter from Yumi saying that she loves him. He's not quite sure how to respond, so he avoids talking to her about it. Jeremie and Odd find out about the note, but don't learn who wrote it. Ulrich tells them not to tell Yumi. After learning about the hornets and X.A.N.A. 's control over them, the group heads for the factory. Ulrich talks to Yumi about the note and tells her that he feels the same way, only to find out that it was Sissi who wrote it. 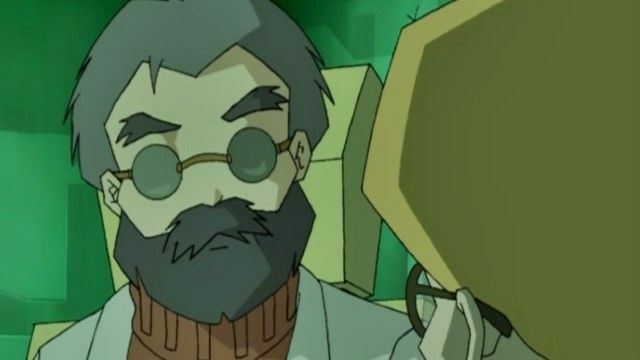 In Lyoko, Ulrich's reaction to the discovery leaves his performance lacking as the hornets move on the school. Jeremie finally completes his materialization program and prepares to bring Aelita into the real world. At the same time, Jim's suspicions of the group have risen to the point that he's actively trying to discover their secret and he ends up causing Jeremie to injure his ankle while running away from him down stairs in the school. When Xana possesses Kiwi, it turns the little dog into the carrier for a virulent virus that turns those it infects into zombies. To make matters worse, Aelita and Jeremie are stuck in the cafeteria and can't get to the factory. On top of that, Odd is a zombie himself. Jermie and Aelita escape but Ulrich and the other students (except William, who is turned into one himself) fight the rest. Jeremie discovers five activated towers and gathers the group to take care of them. However, when they arrive at the factory, they find a man at the interface, deactivating the towers as if it were a simple matter to do so. When questioned, the man claims that he's none other than Franz Hopper. However, something seems off about this convenient arrival. Franz says that the scanners cause cell degeneration, and blames it and the destruction of his diary on Jeremie. With everyone except Aelita angry at him, Jeremie calls his father and asks to be withdrawn from Kadic in favor of a school for gifted students – but after he hangs up, while pondering his dilemma, he realizes that there is something inherently wrong with Franz's explanation. It's been a year since the group first discovered the supercomputer and Aelita, and they decide to throw a surprise party for Aelita. Sissi catches wind of the party and follows Ulrich and Yumi to the factory. On the way there, X.A.N.A. possesses the factory as a whole. Jeremie and Odd are the first to arrive at the factory, finding the elevator to be inoperable. They head off to find the fuse box. Once Ulrich and Yumi arrive there, Sissi confronts them about it. They tell her to leave, but X.A.N.A. 's earlier possession allows him to trap all three in the elevator and drop them to the bottom of the shaft. Sissi and Yumi come out okay, but Ulrich's arm is broken in the fall. Meanwhile, Jeremie and Odd have to deal with the possessed factory equipment. 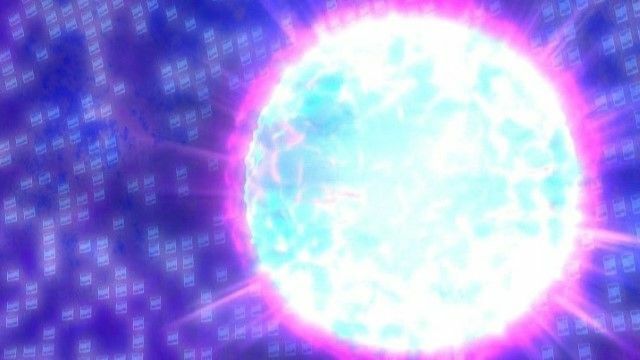 Odd, Yumi, and Jeremie are safe and are at the supercomputer room. While Yumi and Odd are getting virtualized, water from the pipelines inside the walls is falling on the elevator, causing it to overflow. While the elevator is halfway filled, Ulrich promises to Sissi that if they make it out alive, he would be nicer to her. When Ulrich and Sissi are about to drown, Aelita deactivates the tower just in time and the return to the past saves them both. Just like Ulrich promised, he is nicer to Sissi at the end. After discovering Aelita's link to the supercomputer and the inability to shut off the supercomputer that stems from it, Jeremie works hard to find new and better ways to fight Xana. To that end, he develops new vehicles for the group. He also develops a new tower-scanning program that instantly detects activated towers, allowing Aelita to live on Earth. While adjusting to her new life, the class takes a trip to the nearby woods for a scientific field trip. 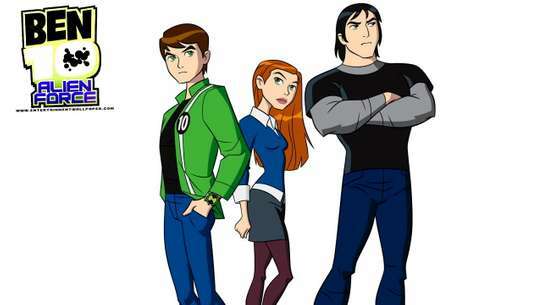 Ulrich wants to partner up with Yumi, but she's already partnered up with someone named William. 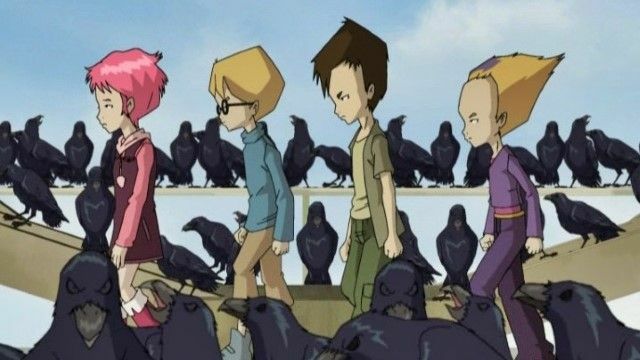 While Aelita adjusts to her new life on Earth, Jeremie and the others investigate the mysterious owner of the Hermitage, Franz Hopper, and his link to the supercomputer, Lyoko, and Xana. It is discovered that Franz Hopper was in fact a former teacher at Kadic. After being teased by Sissi, Aelita retreats to Lyoko but gets lost. 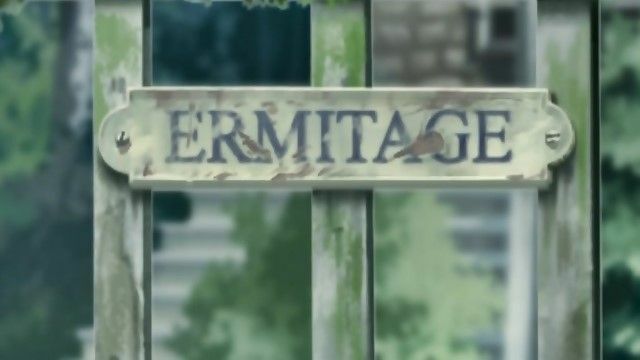 Jeremie finds her in a previously undiscovered fifth sector of Lyoko, The Carthage Region. When Ulrich learns that Yumi might have to go back to Japan because her father lost his job, he can't accept losing her. After hearing the lottery numbers on the radio though, he gets an idea. 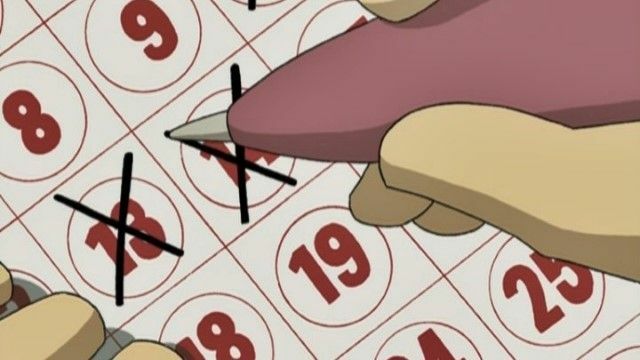 Using a return trip, he is able to get a ticket with the winning numbers and give it to Mr. and Mrs. Ishiyama. When the others find out, they kick him out of the group until they can figure out what to do. To make matters worse, Xana activates a tower and possesses Nicolas. On top of that, he creates an army of Krabs to guard it. The new "submarine" (as Jeremie calls it) is almost complete, the last step being a secondary program that needs to be run by 4:00 p.m. the next day. However, when Aelita and Jeremie stay up late to set the program up, they are caught and given detention. William takes the opportunity to attack the incomplete sub, forcing Yumi to run the supercomputer in Jeremie's absence. Odd and Ulrich are unable to handle the situation, but Jeremie and Aelita are able to sneak out in time to help. Aelita is able to repel William with a massive attack, allowing Jeremie to complete the sub on-time. It is later christened Skidbladnir, nicknamed "Skid" by Odd, after the Norse ship. When the school holds a concert in the gym, William accidentally drops a mixing board for the DJ contest. Odd offers to fix it, and tries to get Jeremie to help. Jeremie is busy, so Aelita offers her help. She easily fixes the device, and finds that she is quite talented in using it. The school is holding its finals, as well, and Odd finds that he is not prepared in the least. 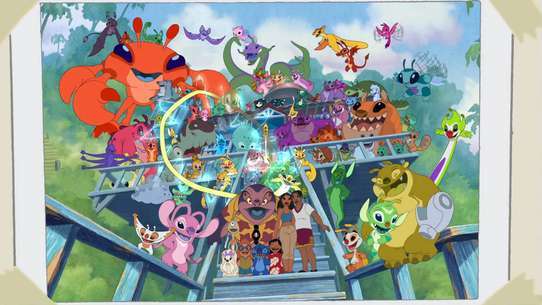 Meanwhile, Xana possesses Jim and takes Aelita to the factory in order to deliver her to the Scyphozoa. After another successful battle against X.A.N.A. and another return trip, Ulrich, Odd, and Yumi are nowhere to be found. They, however, do not see anything wrong with where they are. X.A.N.A. has trapped them in a world of its own design, which is fashioned after the school to ease their suspicions. Meanwhile, in the real world, Jeremie is being questioned on the group's disappearance. However, the world that Ulrich, Odd, and Yumi are in appears to have some glitches in it. Jeremie finds that this world can be accessed through the scanners, and after a near-death with X.A.N.A. 's virtual zombies, Aelita manages to save them. 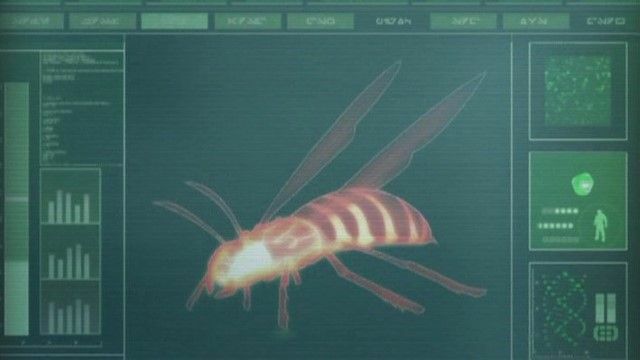 When Xana sabotages the supercomputer, weird bugs begin cropping up in Lyoko. With its power rapidly draining, Jeremie needs to repair it before it becomes completely useless. However, he seems to forget about boys' dorm inspection, so Jim forces him to stay behind. Meanwhile, Xana possesses vines to trip up the rest of the group, except Aelita. Since the attack keeps draining power from the supercomputer, Aelita purposefully wipes out The Ice Sector leaving The Mountain Sector left.